Hide deals from seller "Bead World"
Hide deals from category "Art Classes"
Limit 1 per person; may purchase 2 additional as gifts. Valid on a 2-hour basic bead and wire bracelet class. Materials and bead kit included. Registration required. Classes available Wednesdays from 6:30 to 8:30 p.m. Ages 13 and up. Promotional value expires 60 days after purchase. Learn how to accentuate your look with 50% off a jewelry class at Bead World in Palatine ($40 value). During this bead and wire class, you will learn the basics and create your own bracelet. The class also includes a materials and a bead kit to get you started on your new hobby. 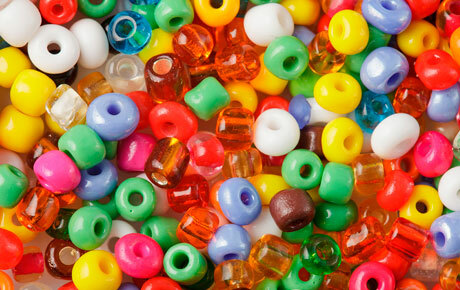 Bead World has been in business for an impressive 17 years. This unique shop carries a variety of beads, pearls, stones and jewelry. You can also stock up on jewelry-making supplies and browse vintage art pieces, swords and gift items. Bead World also offers professional body piercing and jewelry repairs like restringing, watch repair and ring sizing. Bedazzle yourself with a new skill and a pretty new bracelet. A unique bead shop in Palatine that also offers classes and jewelry repair.